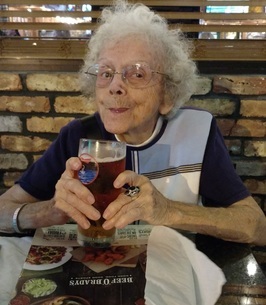 Tina Rose DelCoco (nee Cosentino) of Satellite Beach FL passed away peacefully on November 25th, 2018 at the age of 96. Mass will be held at the Holy Name of Jesus Catholic Church in Indialantic FL on Friday, December 7 at 1:00. The family will be receiving visitors at the church beginning at noon. Arrangements by Beach Funeral Home. Tina was born and grew up in Pittston PA. She was the daughter of Sicilian immigrants. She did well in school and helped with the family grocery store in her early years. As a teenager she sang on the local radio station and had her own dance school. 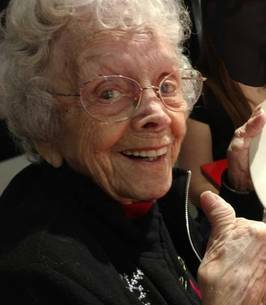 During World War II she worked wiring the tail section of Grumman TBM-3 Avengers. Because of her small stature she was one of the few people able to fit in that section. After the war, Tina worked as a secretary for the Department of Defense in the Washington DC area. A few years later Tina and her sister Rose decided to travel cross country in their new car. They traveled along the famous Route 66 to see the country. This was a rather unprecedented endeavor for two young single ladies at that time. But Tina never shrank from a challenge. 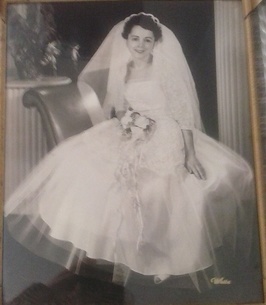 Tina met Joseph DelCoco in Washington DC and they married in 1953. They lived in the DC area until they retired in 1976 and moved to Brevard County Florida. They had a very long and active retirement, retiring in their early 50’s. Tina and Joseph loved to travel. 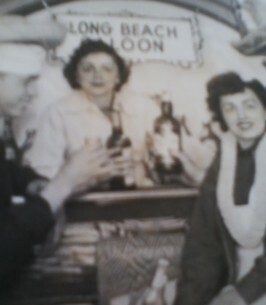 They often took cruises, and traveled by plane and car frequently. They were on the “Last Minute List” for cruises out of Port Canaveral, and always had a bag packed for those 48-hour notice before the cruise sails cabins at 80% discount. They often said they couldn’t afford to stay home! But they did enjoy living in the Brevard County area of Florida for over 40 years, because Tina loved the warm weather of Florida. Tina and Joseph were members of the Astronaut Shell Club. 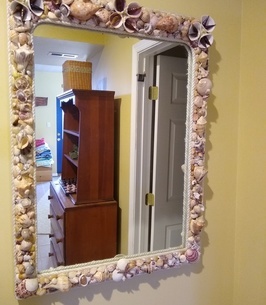 They collected thousands of shells over the decades. 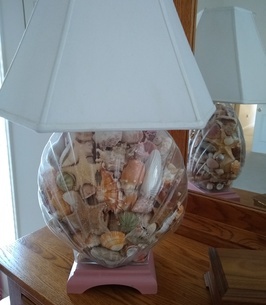 Tina used these shells in her crafts making mirrors, lamps, baskets and ocean scenes. 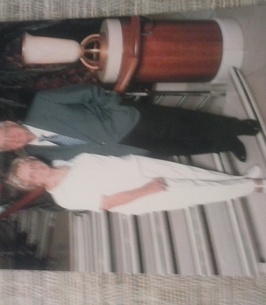 Tina and Joseph loved to dance and were a member of various social dance groups over the years. 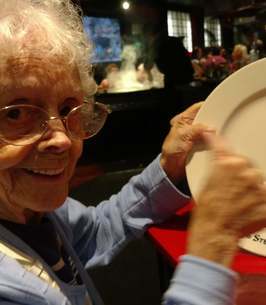 They participated in dance contests and events into their late 80s. They were married for 58 years until Joseph’s death in 2011. 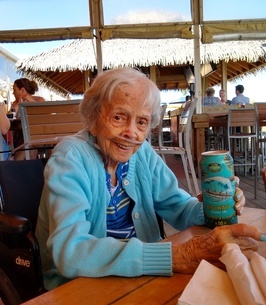 After Joseph’s death, Tina spent a few years in Independent Living at a senior community. Eventually Tina moved back to her old house. 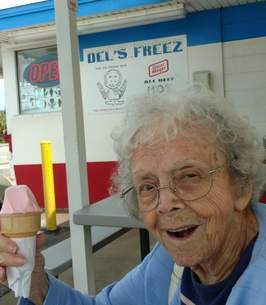 She lived independently (on her own,) in her own house, driving and dancing until 3 months before her passing. Tina is survived by her son Robert, grandchildren Joseph and Jennifer and her sister Rose. She was preceded in death by her loving and devoted husband Joseph, sister Theresa, and brother Joseph. Tina was a strong, independent, determined and kind lady. Many adjectives have been used to describe her – energetic, fierce, caring, a Force to be reckoned with – but never boring. She will be dearly missed by all who knew her. 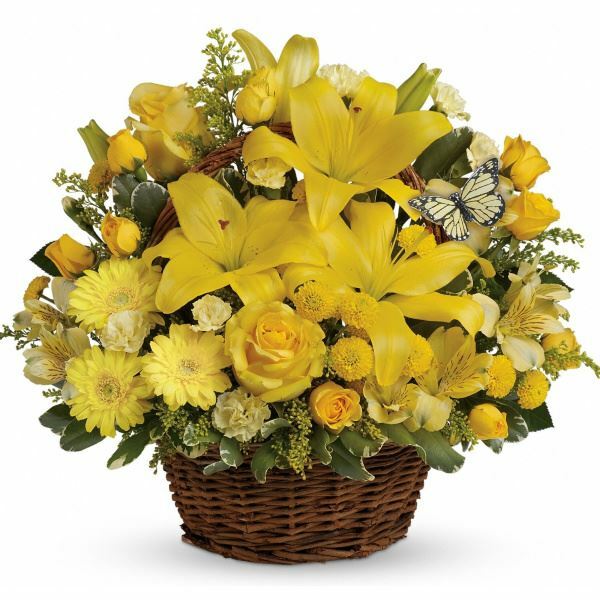 To send flowers to the family of Tina DelCoco, please visit our Heartfelt Sympathies Store. My heartfelt condolences on the loss of your mother. Tina was truly an endearing and kind person. She may have been small in stature, but she was a powerhouse. Heaven has a new angel. God rest her soul. Nana Tina I always looked forward to your visits when you came to Maryland to see Rob. I will always treasure the fond memories I had with you, especially the day we did crafts with Jenny. You made us laugh and I enjoyed watching you in the kitchen making your famous sauce that everyone loved. 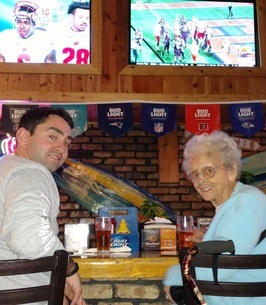 I loved our talks and watching the game show wheel of Fortune with you. You were very good at playing along I'll never forget the time we went shopping at Ollies and how you talked me out of buying too much. You and Grandpa Joe are together in heaven dancing cheek to cheek. I'll never forget your laugh. I loved you dearly. 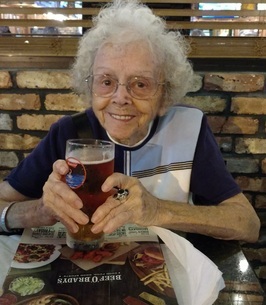 Tina was my neighbor for a couple of years at the Sonata retirement community in Melbourne FL. 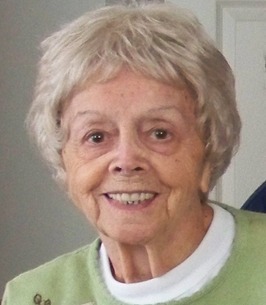 Seldom was she sad or depressed; rather, her upbeat manner and vitality were infectious. Tina regaled us on the dance floor. She made us laugh about her many stories. Most importantly, she was a dear friend! God bless you, Tina DelCoco. Tina and Joe at Joe's 90th Birthday party. 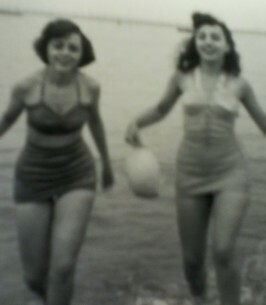 Tina and Rose in the 40s. Tina and Rose on their trip across the US. Tina and Joe on one of their many cruises. 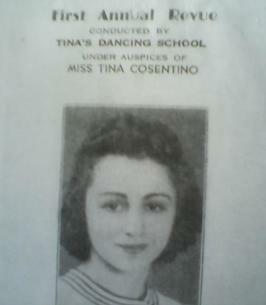 Tina's Dance School First Annual Revue 1942.